After hitting the snooze for the third time, you finally decide to start the day. First things first, your morning routine. Brush your teeth, wash your face, and if you must, shave – all while leaving the faucet running for your convenience. Then, it’s time for a shower, but wait, the water is too cold! Gotta let it run for a minute to get it nice and warm. You say you’re going to make it a quick shower, but once the water hits your body, you figure you’ll take your time, contemplate the meaning of life, maybe even perform a little concert. All the while, your shower is pouring out gallons of water – life’s most precious resource. Any of this sound familiar? Those of us living in developed communities may strive to be eco-friendly consumers, but it’s easy to slip up and wastewater from time to time. If it’s not during our morning routine, it’s starting a dishwasher that’s only half full, or putting off calling the plumber to service that leaky spigot. We take access to clean and potable water for granted. However, there are areas around the world, such as drought-stricken South Africa, and even in the U.S. where people face water stress that is upending the way they live. It’s a reminder that we all must remain conscious of our water consumption. Breaking the habit of wasting water might be tough, but it’s important and worthwhile. Teaching our children to conserve can help ensure there’s more water available to go around for our friends and neighbors. Good habits start right at home. The Environmental Protection Agency estimates that bathroom and kitchen sinks account for about 16% of residential water use. That equals to more than 1.1 trillion gallons of water each year! A family of four each running a bathroom faucet for 5 minutes a day will consume 280 gallons of water in a week! And that doesn’t include water used in the kitchen. Training ourselves, and our little ones, to use water wisely can go a long way in conservation efforts. Making small changes, like turning off the faucet while brushing your teeth, can help drastically cut back on wasted water. These faucets typically pour out two gallons of water per minute, so if you’re brushing for the dentist recommended time of two minutes, then that’s four gallons of water down the drain. But if you fill a cup with water and use it to rinse, you can scale back from gallons to mere ounces. For those looking to really step up their water conservation game, try water-reuse. 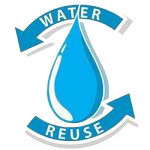 There are numerous ways to reuse and recycle water in the home. For instance, if you’re waiting for the shower to heat up, collect that water in a bucket and use it to water plants or to wash dishes. Or, when washing dishes, fill up the basin instead of letting water run while scrubbing. Also, look for creative ways to use leftover boiled water. We can find ways to reduce water use outside the home too. Industries that heavily tap water sources can deteriorate water quality and the health of the ecosystem. This threatens plants, wildlife, and fish that depend on sufficient water flow to live and reproduce. By instituting a water recycling program, operators in these industries can decrease their water consumption and help to preserve the environment. Using less water in our daily lives takes a little practice, but practice makes perfect. Good luck and happy water conservation!